Single piece design. Eliminates extra work and prevents warping of the flange from not having to weld inserts into place. Flange is recessed for the runners. 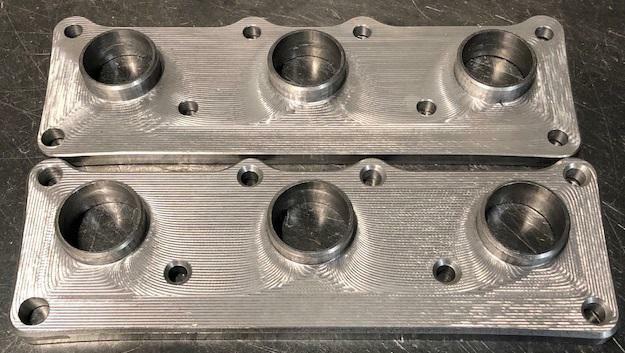 CNC machined from 1018 steel.